Obverse description: Crowned king facing forward. Reverse description: Short cross with small cross in each quarter. 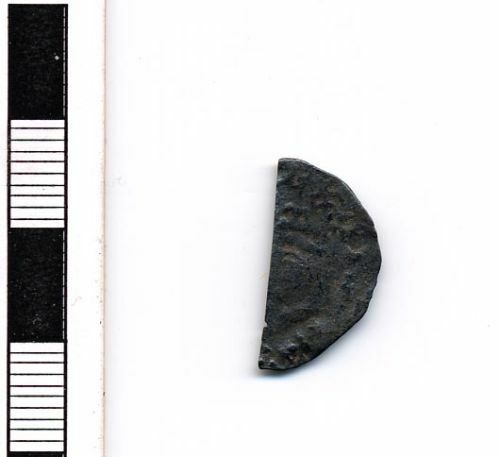 Medieval silver coin: cut half Tealby penny of Henry II. 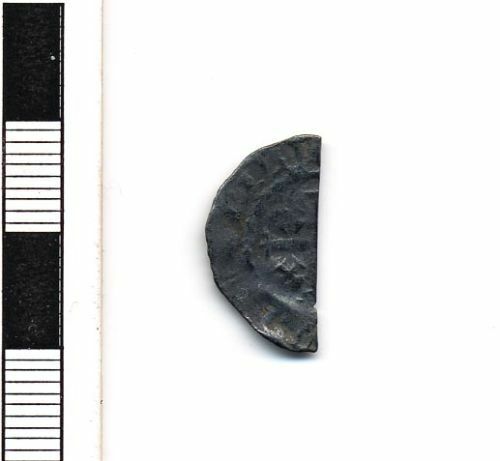 Cut half 'Tealby' penny of Henry II, 1154-1189.